THE Samsung Galaxy J7 Core has landed in stores in the Philippines, giving Sammy fans a decent choice to consider without breaking the proverbial bank. As we said in our hands-on coverage, you’re looking at a capable sub-P10,000 entry (P9,990 or around 196, if we’re being precise), fitted with a well-sized AMOLED screen and the same Exynos processor ticking inside the more expensive Samsung Galaxy J7 Pro and Galaxy J7 Prime. Although the stingy amount of RAM and base storage would make eyebrows rise a bit. And sure, those chunky bezels, as well as the antiquated design, might be a deal-breaker for some. As a daily driver, however, you might be surprised at how well the main and secondary optics perform given the friendly asking price and how good it is at running some of the most punishing games available on the Play Store. Which is important, because this Galaxy is being marketed as a portable gaming machine for the masses — first and foremost. As a daily driver, you might be surprised at how good the Samsung Galaxy J7 Core is at running some of the most punishing games available on the Play Store. With that in mind, the Samsung Galaxy J7 Core is mostly worth evaluating from a gaming perspective — which we did. We put the phone through its paces to see how it holds up against five of the more graphically demanding games we play at the moment. Dive in to check out our impressions, as well as our recommended graphics settings for each title. We know: NBA 2K18 for mobile is already out — but only for iOS devices. That leaves Android users stuck with last year’s edition. It’s okay, though, since NBA 2K17 is still one of our favorite titles on the Play Store. It’s a faithful reproduction of actual NBA action — from the gameplay to the athletes’ likeness and movement. And, as you may have gathered, it’s also one of the more demanding games you can download onto your device. 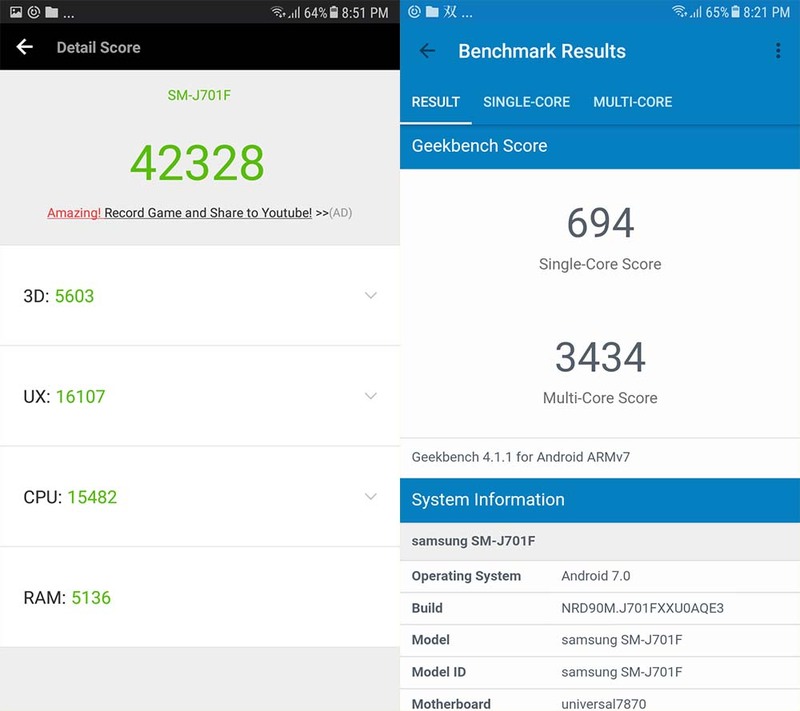 So, just how did the Samsung Galaxy J7 Core fare? Not so well. It managed to run the game smoothly, at high frame rates, but only after we docked the settings to Ultra Low, Low, or Off. We suspect that the game uses up a lot of RAM, hence the relative poor performance of our unit. As a quick refresher, the J7 Core only has 2GB of RAM, of which some is allocated to keep necessary applications running. 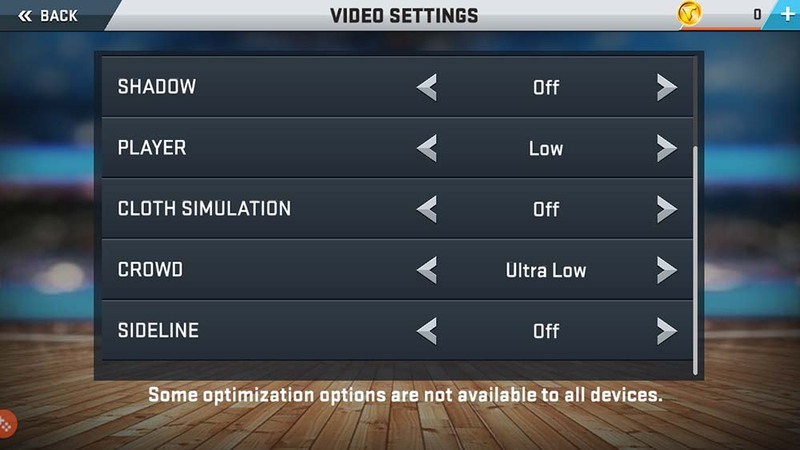 Here are our recommended settings for NBA 2K17 on the Samsung Galaxy J7 Core. NBA 2K17 running at high frame rates. Note that this video does not reflect the resolution of the screen; the visuals look much sharper on our unit. Ditto for the rest of the videos we embedded. Lineage 2 is one the most popular online action RPGs on the Android platform, and one of the biggest reasons for this is its Unreal Engine 4-based graphics. It’s all about the eye candy — Lineage 2 looks remarkable for a mobile game, transplanting characters into a huge and populated open-world setting. Plus, it’s really fun to play solo or with friends. We can’t recommend it enough. Lineage 2 worked surprisingly well on the J7 Core, and we were able to play the game at Normal graphics settings with the frame rate set to High. For best results — because this is a multiplayer RPG, after all — we recommend dialing down the visuals or lowering the frame rate. Obviosly, your mileage will also vary depending on how fast your internet connection is. Lineage 2 at Normal detail with frame rate at High. This game isn’t nearly as popular as the first two we mentioned, but it deserves more credit than it usually draws. Dragon Project is often described as a Monster Hunter-type action RPG — and the comparison is well-earned. It even lets you play along with up to four people online to track and hunt down gigantic monsters simultaneously across large maps. The end game is the same for all: Slay minions then bosses to get loot and level up your character. Rinse and repeat for the best gear possible. We found that Dragon Project, while visually excellent, isn’t a demanding title. As such, we were able to run it at High detail without seeing a huge impact on performance. The game requires an online connection, however, so dropping the settings to Medium in exchange for better frames is a good idea, especially for those experiencing slow internet speeds. Dragon Project isn’t too demanding and is perfectly playable with the graphics set to High. Injustice 2 is the sequel to one of the best fighting games for mobile, Injustice: Gods Among Us. Of course, it’s still based in the DC Comics Universe and it still sees the player performing a series of taps and swipes in order to take out AI opponents with a healthy — and always-expanding cast — of heroes and villains. Visually, it looks impressive overall, with some excellent animations, visually striking cutscenes, and good use of lighting and shadow effects. Unfortunately, the game doesn’t allow you to tweak the graphics settings one bit, so we had to settle with the frame rates we were getting, which were neither low nor high. 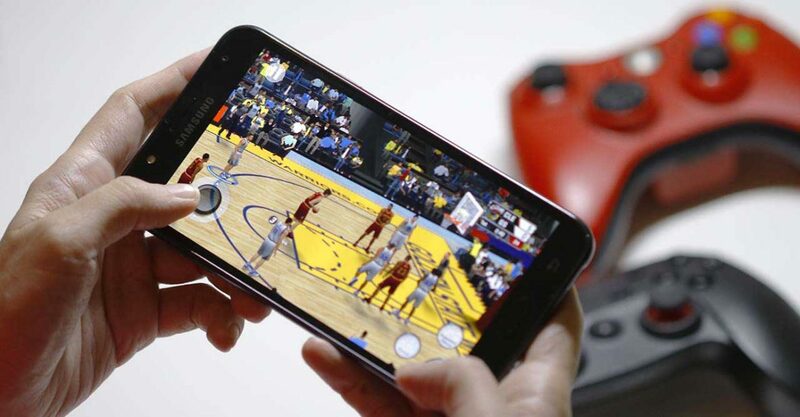 But hey, at least the game is playable on the Samsung Galaxy J7 Core, yes? Injustice 2 doesn’t allow the player to adjust the graphics settings, but you can play it on the Samsung Galaxy J7 Core just fine. Developed by the folks who made Real Racing 3, No Limits is a free-to-play arcade racer with an emphasis on style and not-so-realistic car racing. The game features top-notch particle and smoke effects and reflections that make it look extra pretty and make up for the shortcomings in texture and 3D model work. Additionally, the controls are simplistic and easy to pick up. There are no accelerator and brake pedals, no steering wheel to impede the screen; you simply tap on the right or left side of the display to turn, swipe up to kick into turbo gear, and swipe down to drift around turns. Overall, it’s a fun game that is accessible to all. Similar to Injustice 2, No Limits doesn’t allow you to set the graphics to your preferences, though it should work pretty well on the J7 Core using the default preset. We didn’t experience any major slowdowns or stuttering throughout our testing. Need for Speed: No Limits won’t let us tweak the visuals, but the frames are pretty solid on the J7 Core. It won’t play all your favorite 3D games at maximum quality, but the Samsung Galaxy J7 Core will at least play most of them. That can’t be said for some phones in the bargain category, even for those fitted with 3GB of RAM. It also bears noting that the J7 Core opts for AMOLED over LCD, making it better suited for gaming, as pixels appear brighter and punchier and more vibrant on the 5.5-inch screen. The dated design won’t impress anyone, and the memory configuration holds back the hardware, but as a budget gaming device, this smartphone ticks the right boxes.